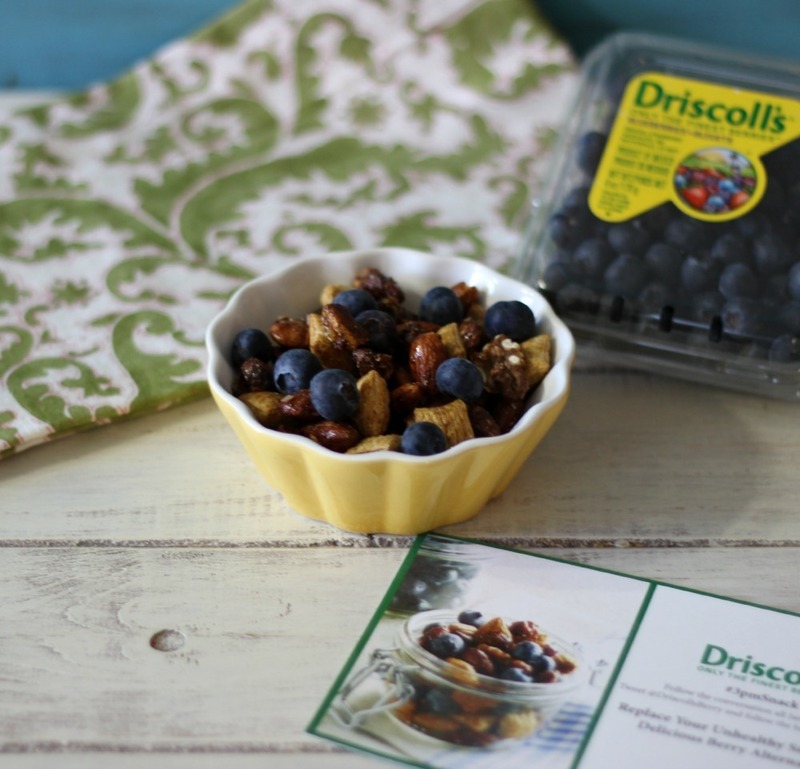 Yesterday I talked about healthy snacks and today I teamed up with Driscoll’s Berries to help you keep with New Years resolutions with blueberries. You know how much I love my berries and blueberries moved up on my favorite berry list. It kicked raspberries from number two to number three and blueberries moved up to the #2 spot next to my beloved strawberries. I really love berries, they are by all means my favorite fruit. Not only are they cute, tasty and delicious, but they are fat-free, high fiber and low-calorie! How can you not love them? Today’s recipe is pretty cool and I found it to be quite unique. I have for you Driscoll’s recipe for Blueberry Trail Mix. It’s made with almonds, walnuts, pistachios and get this chipotle powder, cayenne pepper, cinnamon and honey. Oh man! This is a spicy nut mix and by adding fresh delicious, juicy little blueberries took the mixed nuts to another level. Plus the blueberries really cooled the heat from the nuts. Driscoll’s actually made the mix and sent it to me and before I read the ingredients, I tried a few nuts and WOW!!! I was surprised on how wonderfully spicy it was. 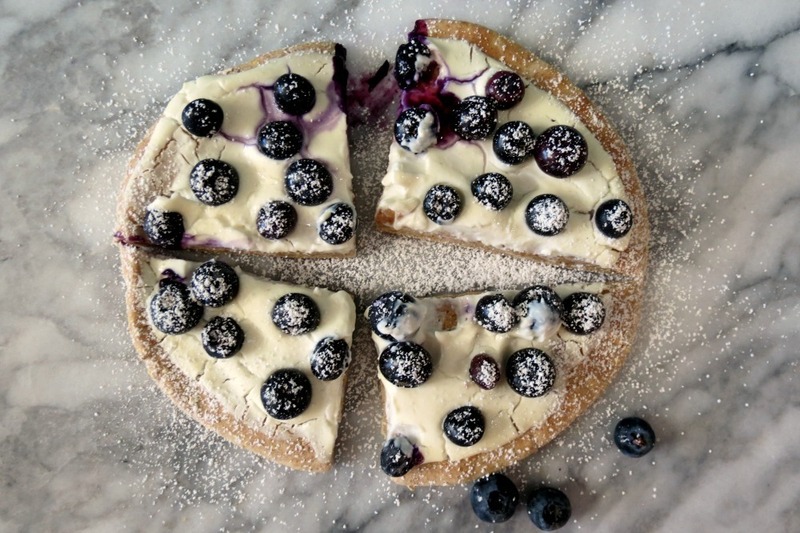 The blueberries really compliment it well!!! This is one snack mix I will be making on a regular basis. 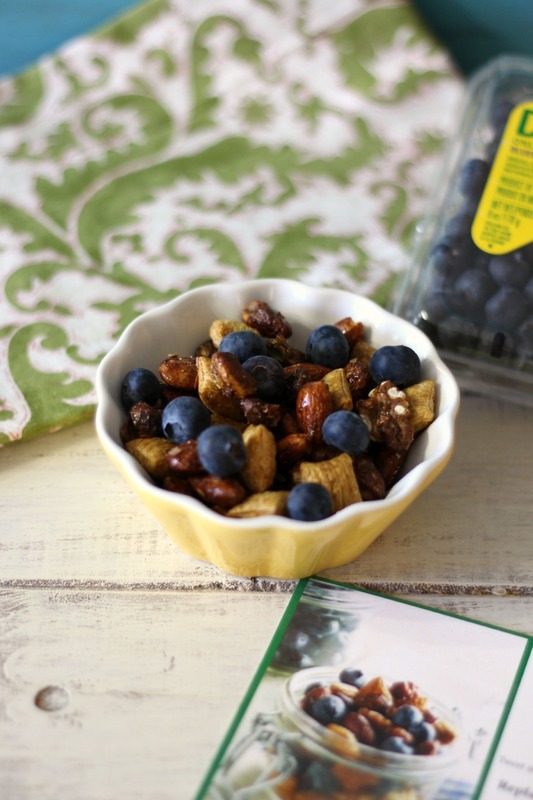 The Blueberry Trail Mix makes for a wonderful healthy afternoon snack. It’s full of protein, fiber and healthy fat. Plus the nut mix is super easy to make! You could also use the nuts in a nice salad to add a kick of heat. You know how much I love the heat! Yummers! 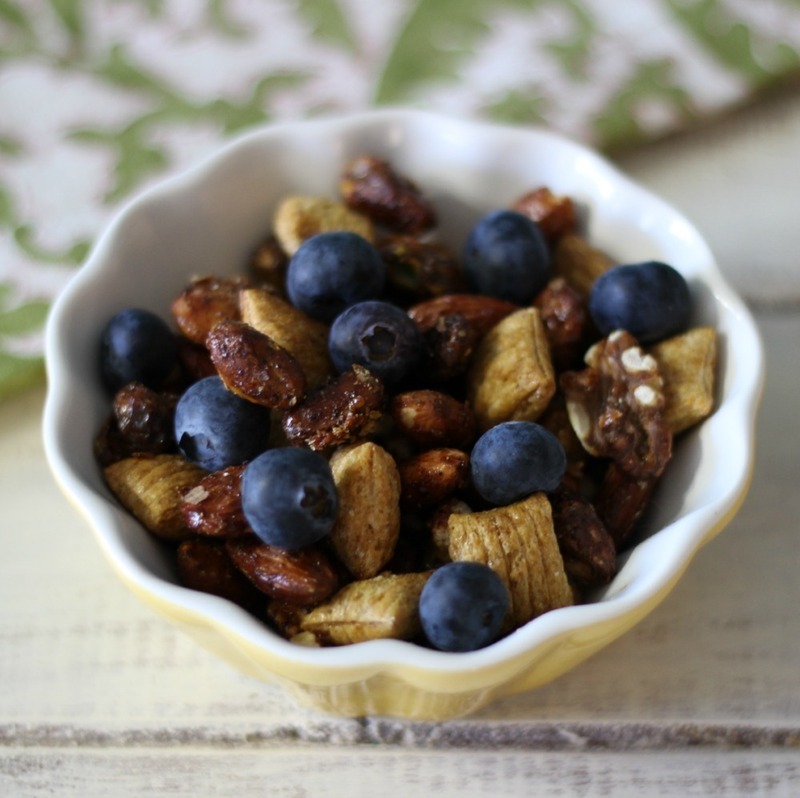 A crunchy, spicy, slightly sweet nut mix with a kick of heat, served with fresh blueberries. In a large bowl, combine almonds, walnuts, and pistachios. In a small saucepan, combine honey, oil, chipotle powder, cayenne, and cinnamon. Warm mixture over low heat, stirring well until warmed through. Pour honey mixture over nuts and stir with a rubber spatula until coated. Sprinkle salt over nuts and toss to combine. Spread mixture in a single layer on prepared baking sheet. Bake until golden brown, 20 to 25 minutes. Let cool completely before serving. Transfer baked nut mixture to a large bowl. Add cereal and toss to combine. 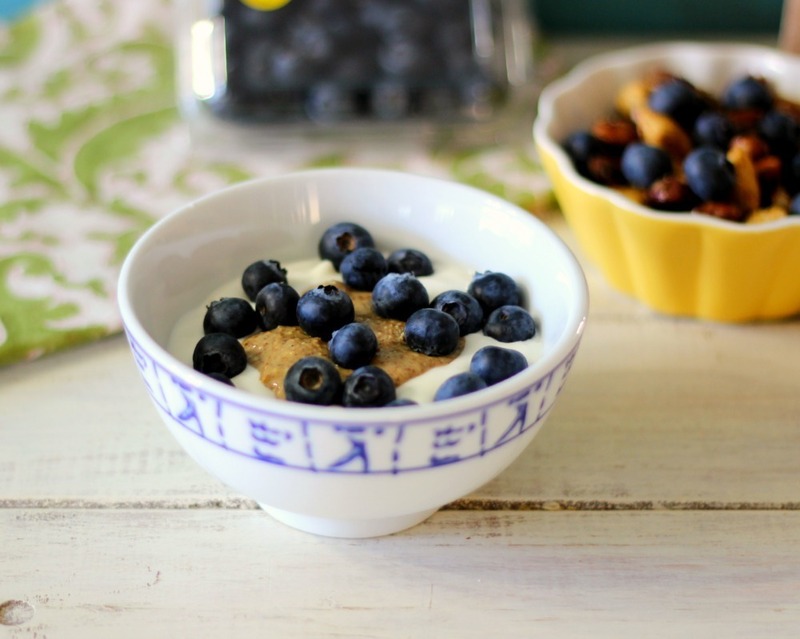 To serve, combine ¼ cup nut mixture with ¼ cup fresh blueberries. Store nut mixture in an airtight container for up to 1 week. However, I have to admit my favorite 3pm snack is greek yogurt, with a dollop of almond butter and blueberries. I love it!! It’s so refreshing, full of protein and satisfies me until dinner. Yum!!!! I think I’ll make one today. 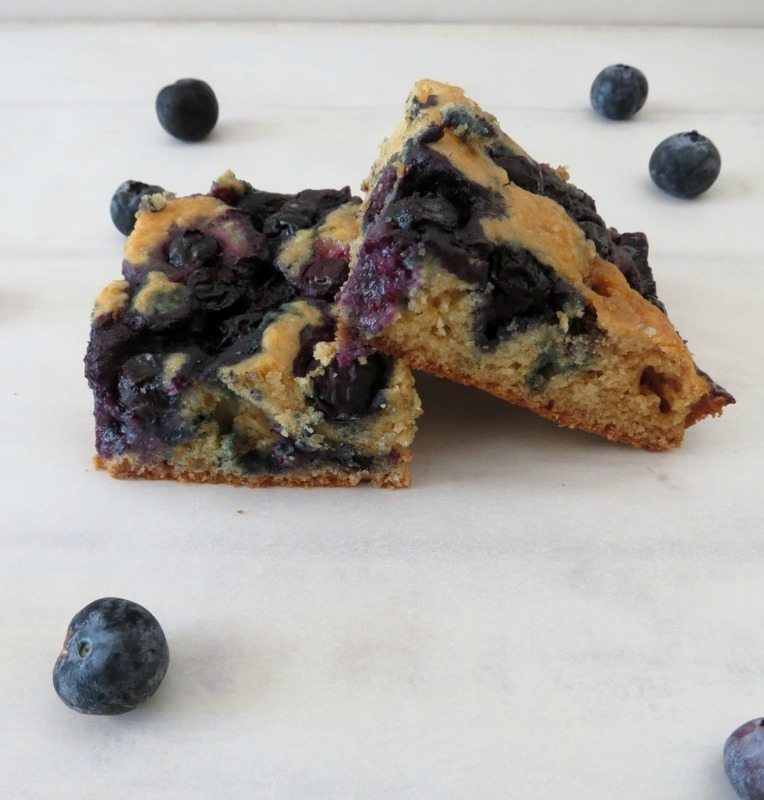 Since we are talking delicious blueberries, I thought I would share with you a few of my favorite blueberry snacks. I am really love blueberries! 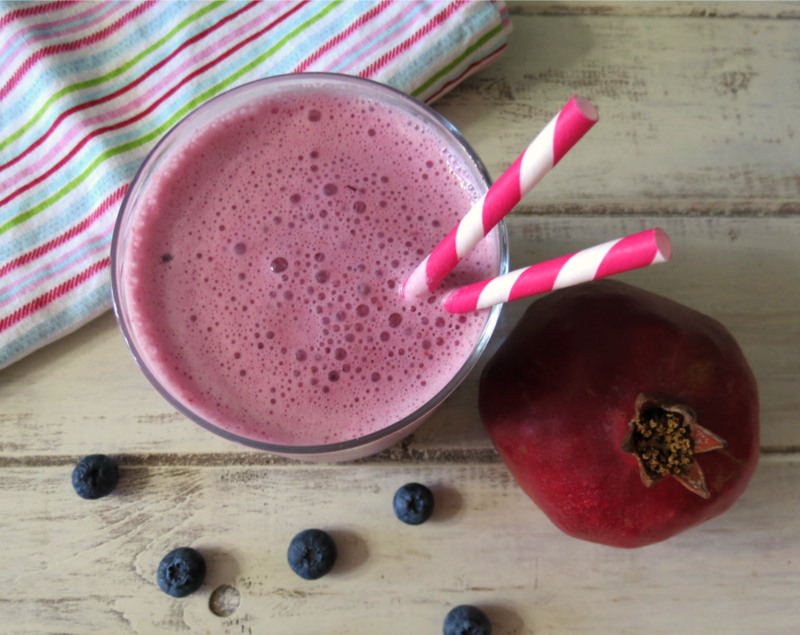 I have been having them every morning for the past week in my smoothies and boy is it good!! 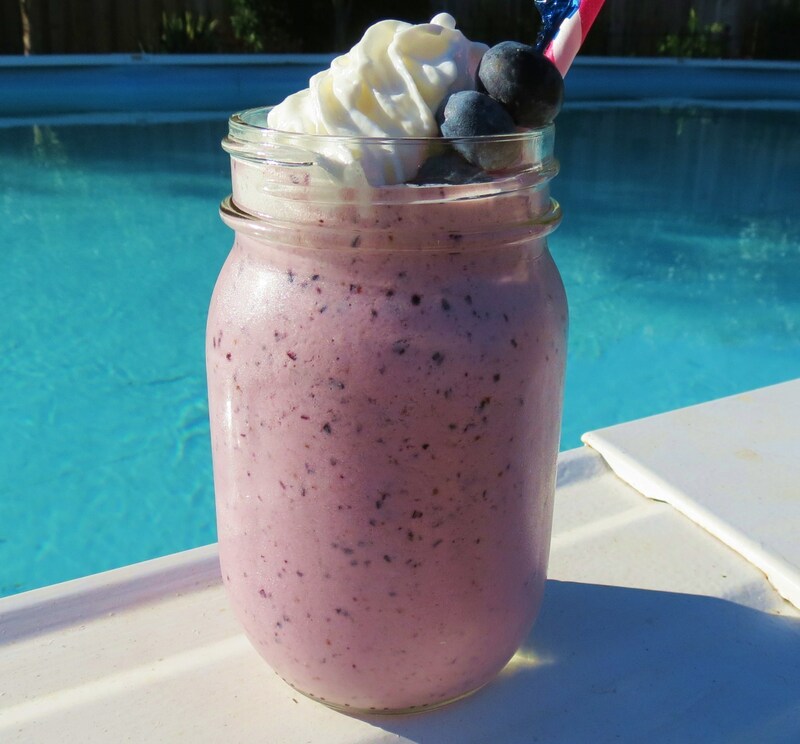 So pick up some blueberries and add them to your #3pmSnackTime. 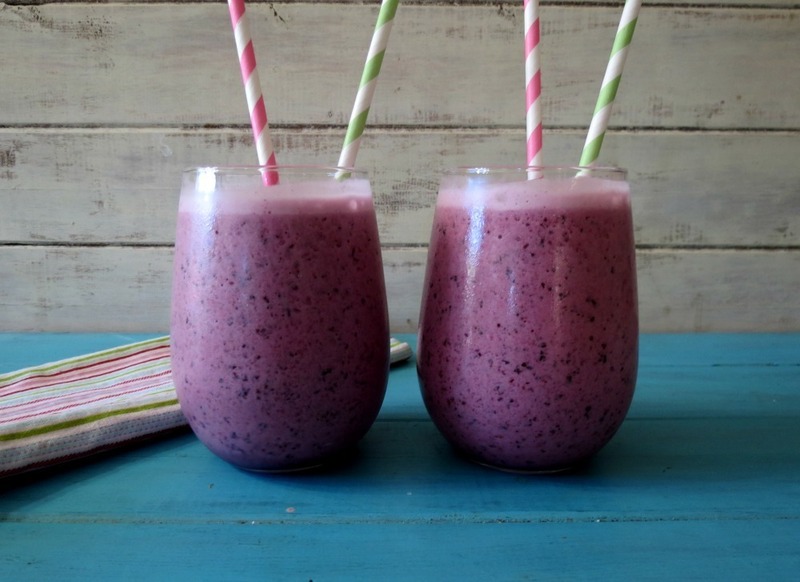 Have a wonderful berrylicious day! This sounds AMAZING Jennifer! I live the idea of putting fresh fruit into this trail mix!! I never thought of it either! It’s a nice combo! Glad Driscolls came up with it. Wow I don’t think I have ever seen trail mix look so appetizing! Thanks Jocelyn! It is a nice fun combo.